Gallery featuring images and descriptions of 12 of the best Smart Home Utilities out there, making your home safer and more efficient while saving money. Welcome to our latest smart home technology gallery, this time showcasing the variety of smart utilities that can improve your home. We’re beyond excited about the burgeoning popularity of smart home technology and want to share the possibilities out there. 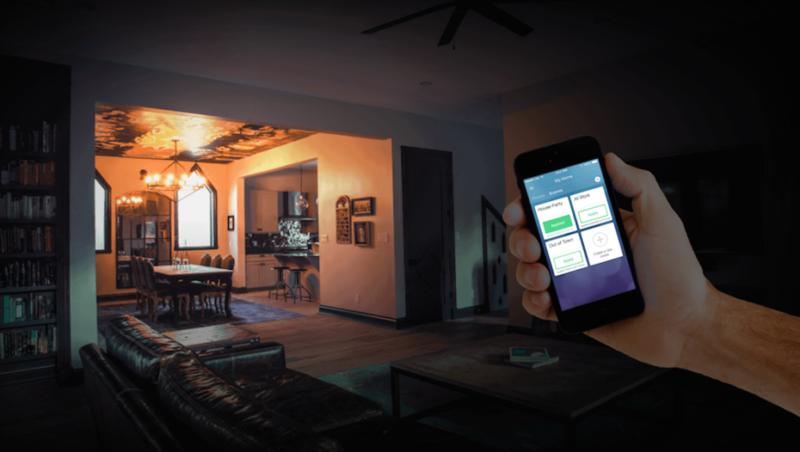 With smart home technology, your utilities can become more convenient, efficient, and safe. There’s really nothing more you can ask from an upgrade, so we’re delving in to the myriad options, features, and improvements that smart technology can bring to the home utilities we use every day. The first requirement for a worthy upgrade is, of course, whether it improves the product and your experience with it. We think that the below examples of smart home utilities all pass that bar and then some. As we explore the various home utility options that now come in smartly upgraded form, take note of which specific features will improve your home and work best with your lifestyle. Take for example the plumbing options: if you own a rental or vacation home, there’s nothing more reassuring than knowing your house is flood free and safe. While considering the big safety improvements here, make room for the array of smaller but incredibly important convenience features. Consider how, for instance, a self-programming thermostat might make your home more comfortable while saving money on your monthly heating and cooling bills. Consider, too, the implications of being able to command the inner workings of your home itself from anywhere, whether it’s the bedroom, the office, or a beach in another country. With smartphone connectivity, most of these utilities can be monitored and controlled whether you’re at home or not. We’re beyond excited at the idea of moving the most important, but least-considered parts of our homes into the future. It’s about time!